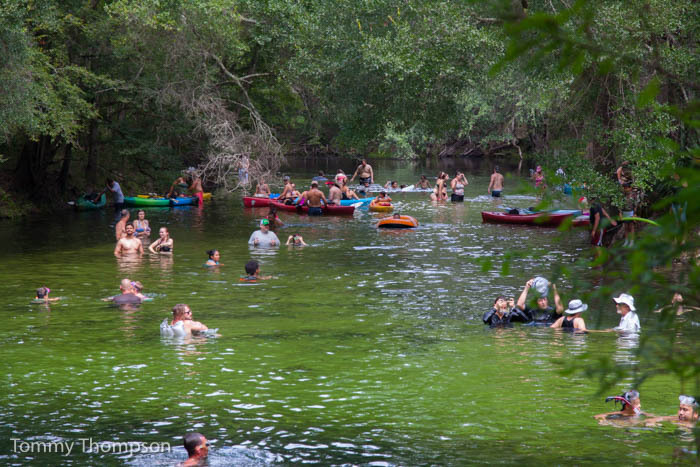 Poe Springs, one of the largest of the springs alongside the Santa Fe River, is located in a county park, just a short drive from Gainesville. 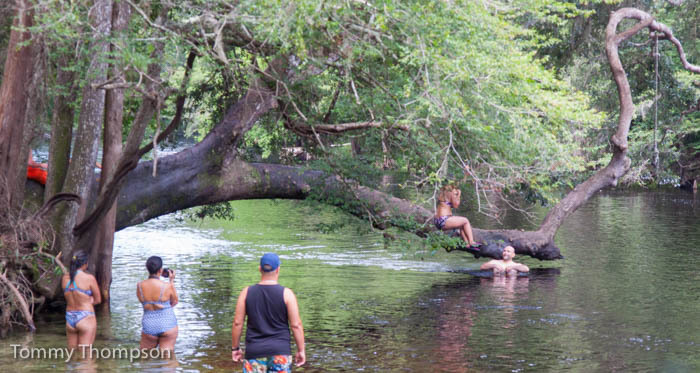 And it’s Alachua County’s only park with an open, public spring suitable for swimming. 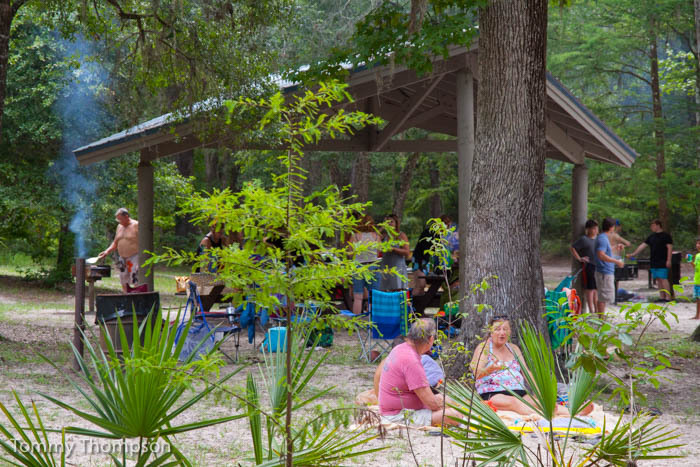 Located on CR340 (Poe Springs Road), just a few miles from the town of High Springs, Poe Springs Park has several amenities, including picnic shelters, picnic tables, a boat launch (into the Santa Fe River), and plenty of parking. The park is open Thursday through Sunday, from spring to early fall. And the ADMISSION IS FREE! 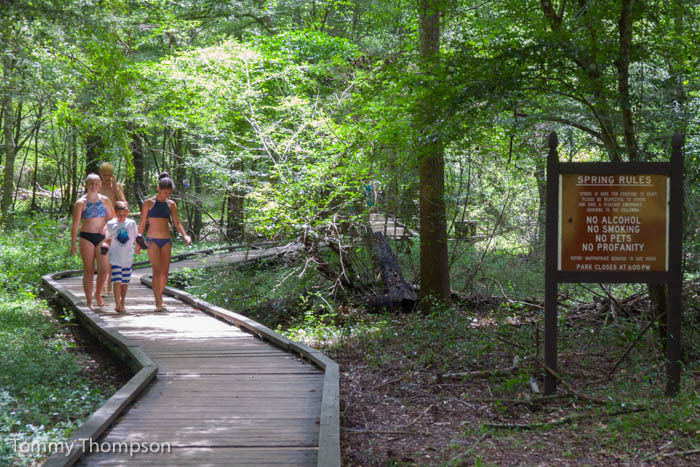 Poe Springs features picnic areas near the spring and near the parking lots. There is also a playground that’s a a favorite of the younger visitors to the park. Call 386-454-1992 to reserve larger picnic shelters for your group or family. In 2018, several improvements were made to the park, including expanding the steps and rails at the spring head and repairing the boardwalk that leads from the parking area to the spring. The short spring run from the main spring is several hundred yards long, and is a good place to get away from the crowds. Just be aware that in the rainy (summer) months, the river current at the mouth of the run can be swift.